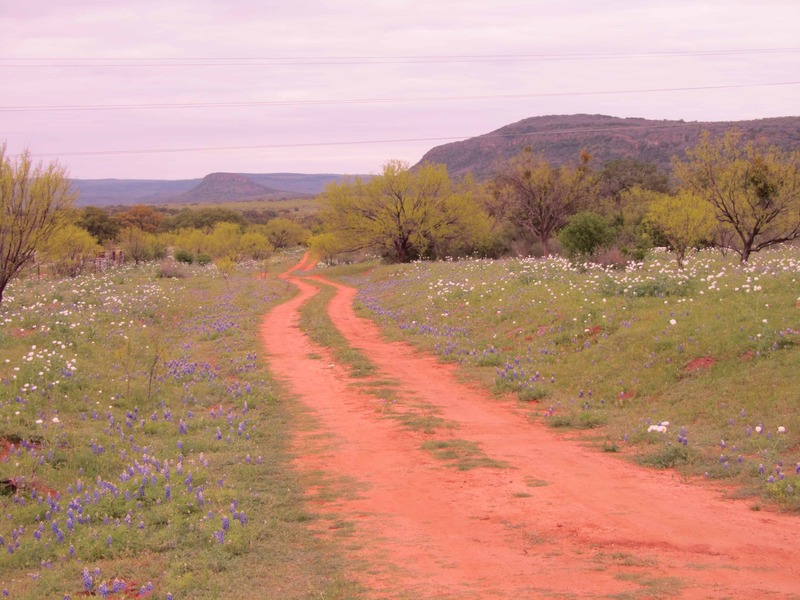 So, Big Red Car, why bluebonnets? 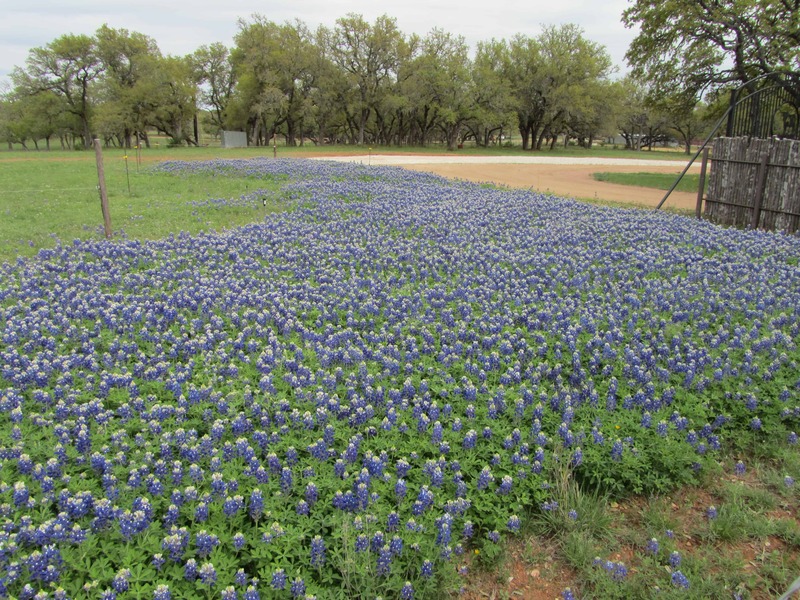 Dear friend, bluebonnets are the state flower of Texas — actually there are five variations and the Central Texas variety is Lupinus Texensis. The bluebonnet is the harbinger of spring and you go see them and your spring officially starts. It makes you strong, Texas Strong and smart. Dear friend, you go to see the bluebonnets out around Fredericksburg, a German community on the edge of the Hill Country. You can go other places but The Boss has been going out to Fredericksburg for decades. It is where you find the Willow City Loop. When you find it, you will be transported into a place you will love. It is the Hill Country. It is cow country. It is bluebonnet country. It is Texas. Here is the Hill Country, y’all. 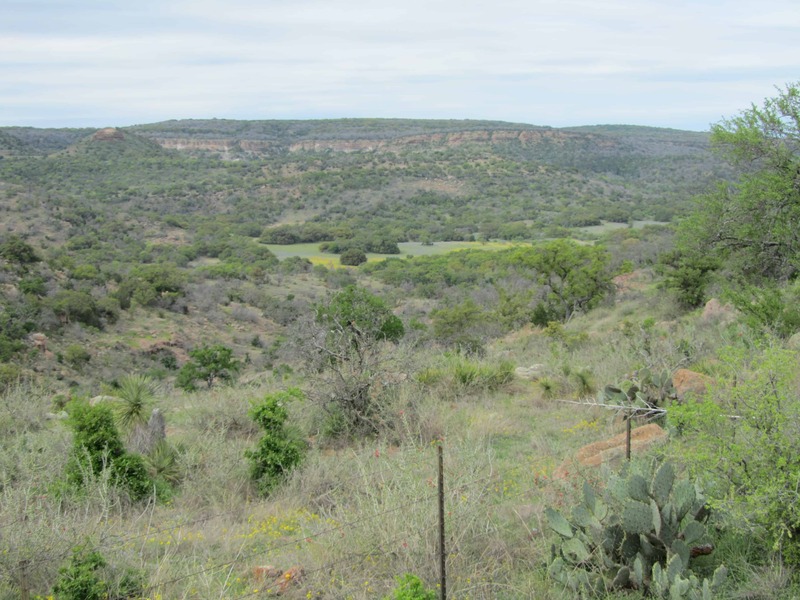 The Hill Country is little mountains, clean water, ranches, cows and bluebonnets. 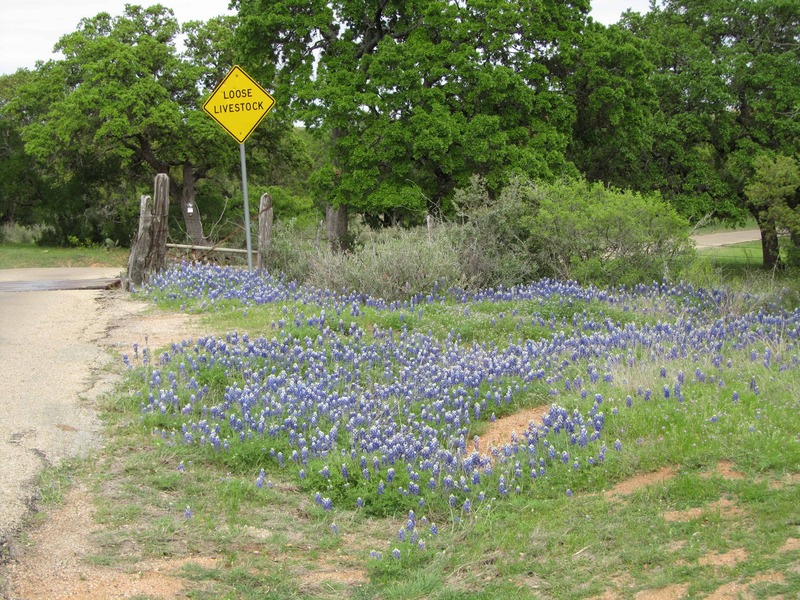 The Willow City Loop starts at Willow City and winds back on itself while providing you an overdose of bluebonnets. 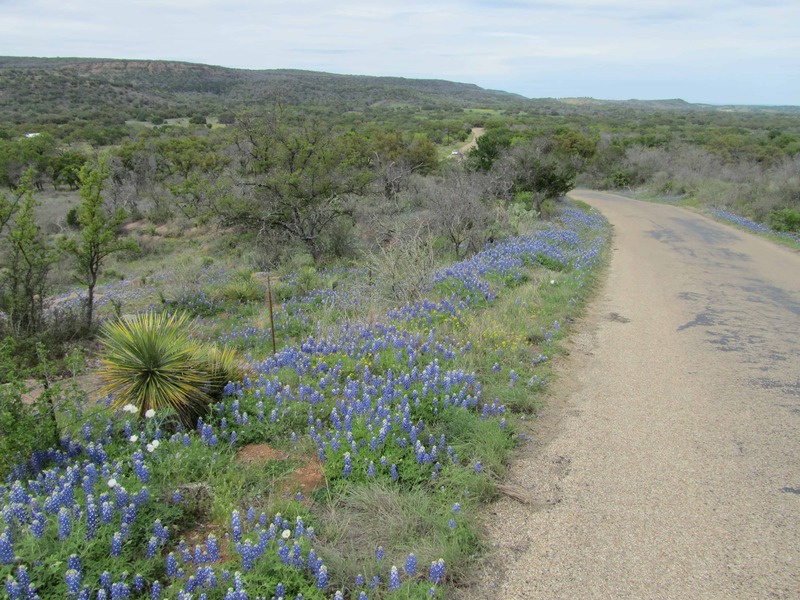 The Loop is a little road which meanders through cow country and has lots of bluebonnets along it but also great vistas. 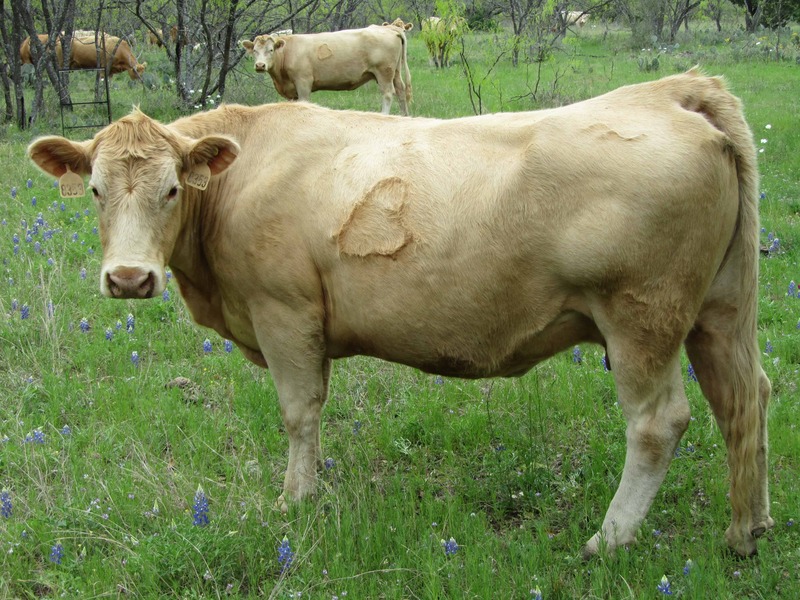 It is open range country and the cows are hanging around on the roads eating grass and bluebonnets. Do not run into the cows or the bulls. The cows are kept on their own property by a series of cattle guards. 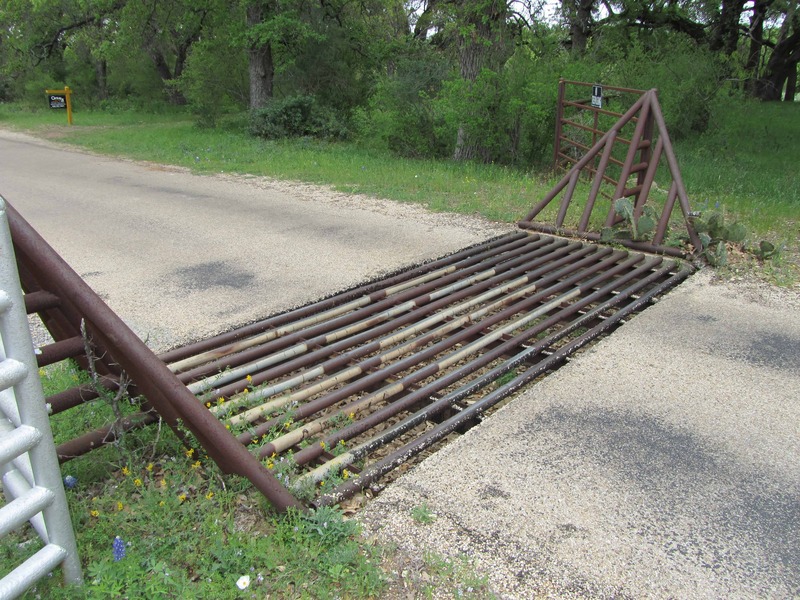 The cows can’t cross the cattle guards with their dainty little feet. These big fellas behave themselves because of the cattle guards. 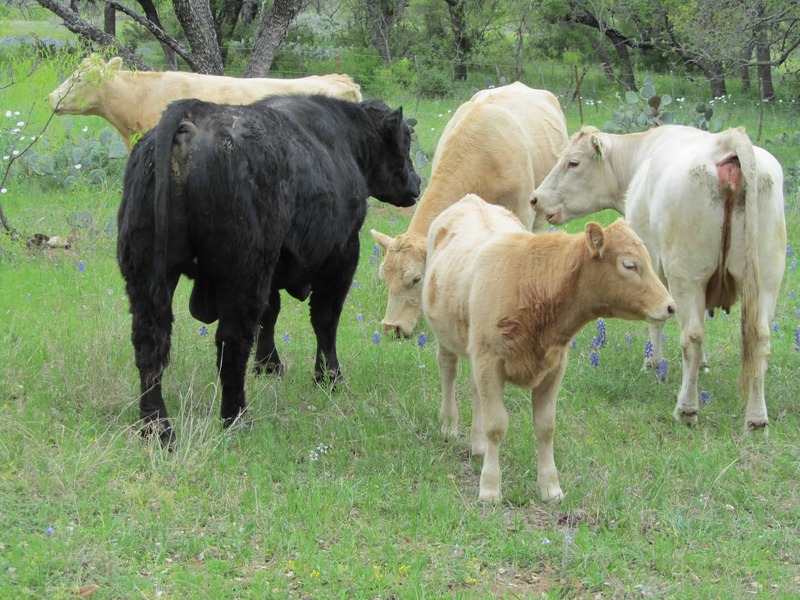 Here is a bull, some cows and a calf. See if you can figure out which one is the bull. 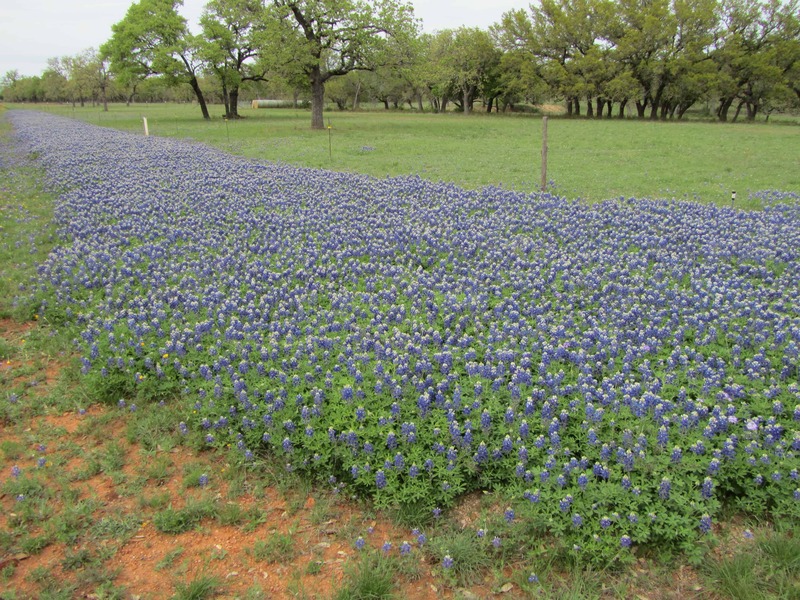 So there you have it, the Texas Hill Country, the Willow City Loop and your bluebonnets. Where is the Willow City Loop, Big Red Car? OK, dear friend, you can’t just Google it? Head out of Austin on Highway 290 generally west to the “Y” at Oak Hill, take the left fork and take Highway 290 toward Dripping Springs — get a dip cone at DQ for the ride. Pass the Deep Eddy distillery and keep going until you hit Highway 281. Take the right turn toward Johnson City, home of Lyndon Baines Johnson and the inspiration for the Civil Rights Act of 1964. Take a left on Highway 290 in Johnson City and head out to Fredericksburg. You will pass about a hundred vineyards, wineries, vintners and wine tasting rooms. This is the Hill Country wine industry. Go down the main drag of Fredericksburg — eat at the Navajo Grill if you want some gourmet chow — and turn north on Highway 16, follow the signs to Willow City. Turn down the road toward Willow City and follow the signs to the Willow City Loop. Willow City is a very, very small town — do not blink. The loop will return you to Highway 16 and then you go get a pretzel with hot mustard and a big beer on the main drag or you go to Cranky Frank’s BBQ. Your choice. Do not let any of these big critters get into your car. Bad move. This is where your next McDonald’s Big Mac is coming from. Oh, stop with that. Where did you think they came from? OK, y’all. That’s it. Now you know why everyone in Central Texas loves the Hill Country. You can, too. But, hey, what the Hell do I really know anyway? I’m just a Big Red Car. Be good to yourself. Go Badgers! 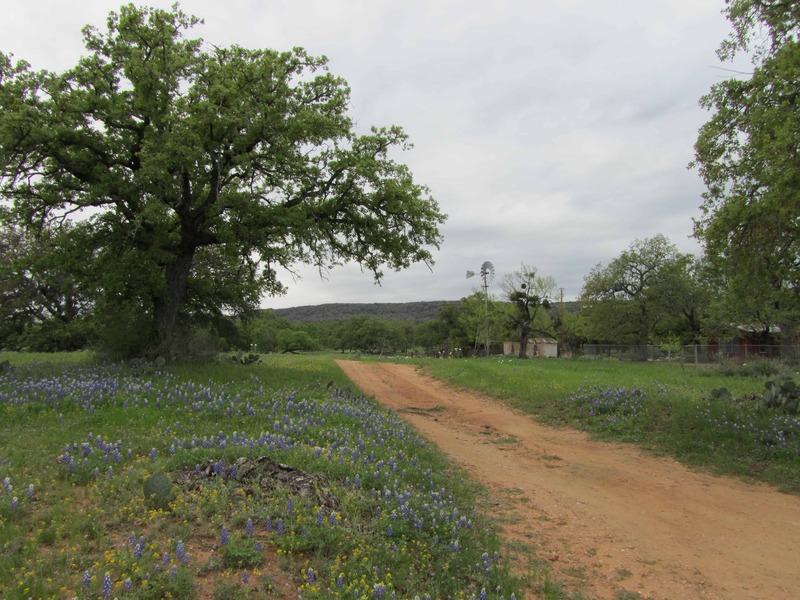 This entry was posted in Texas, Texas the ATX, Uncategorized and tagged ATX, bluebonnets, fredericksburg, hill country, Texas. Bookmark the permalink. 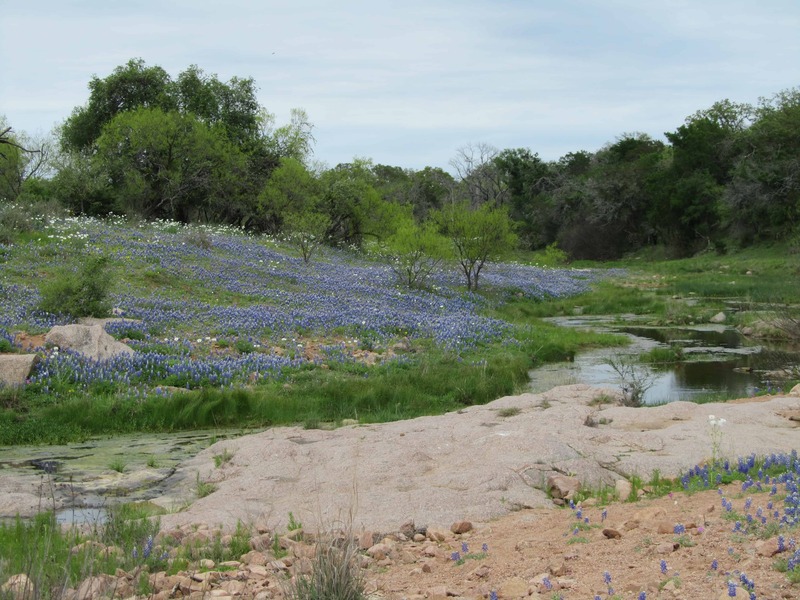 The awesome Willow City Loop where Central Texans go to view their iconic bluebonnets, a traditional right of spring in Texas.